The Civic Department of the Women’s Club of Fall River had taken note of the plight of draft animals and began to wonder about an organization to care for them. After much discussion, the decision was made that the city needed a humane organization. A committee was formed, and, after much hard work, eleven members were recruited. The first meeting was held in the parish house of the First Congregational Church in October, 1913. Plans were made, and fundraising began in earnest. The donations poured in and an old barn was purchased at 474 Durfee Street. An aging horse was donated, along with a blanket and wagon, with the stipulation that he be given care for the rest of his life. And with that beginning, the doors first opened on February 11, 1914 (incorporation came on June 25 of the same year). In 1917, funds were donated to purchase the adjoining property, at which point runs and cages were added for smaller animals. Within the first twelve years of its existence, the League took in over 32,000 animals and it became evident that the old barn was no longer adequate. A house owned by the League and rented to ever changing tenants was a source of expense rather than income. It appeared that the time had come when a new building was an absolute necessity. Removal of the old house and barn began and construction of the new building started in the summer. Completed in early 1927, the new shelter at 474 Durfee Street, according to the Annual Report for that year, was “the result of months of planning…an attractive cement and modern building of bungalow type, modern and up to date in every way as regards the practical and humane care of animals”. That same year, Lizzie Borden passed away, her sister Emma following her a few days later. Their generous bequests allowed the League to expand its work. A Humane Education program was started, as was an animal clinic which was eventually found impractical. To this day, the League is the grateful beneficiary of a small annual stipend from this bequest. Shortly thereafter, a gentleman by the name of Mr. McCarthy was hired at the grand sum of $7 per week to serve as the League’s first Superintendent. The city also appointed him as “dog catcher”, although no leash law was in effect at the time. Most of Mr. McCarthy’s work during this period involved working with starved, abused, and broken down work horses. He saw to it that they were treated humanely and he also provided shoes and leads to folks who could not afford them. Every Christmas, he provided donated carrots, hay, grain, oats, and apples for most of the horses in the city. This tradition was still alive in the early 1960’s. Eventually, two more aged horses were donated. One horse, with the improbable name of “Monkey”, was the pride and joy of the League’s superintendent. His always shining coat and well-groomed appearance when driven through the city streets brought constant admiration. Monkey was not young when he was given to the League, and, when it was found that he had developed an incurable lameness, he was taken to the Pine Ridge Rest Home for Horses in Dedham to spend his last days. Over the years, many improvements were made. A cat shelter was built with runs and heat installed so that the dogs and cats could have separate quarters. A tattoo machine was purchased for identification of animals. The League was able to purchase its first “automobile truck” in the late 1920’s. In time, land in the Watuppa Reservation was donated by the City of Fall River for use as a pet cemetery. The league recently donated this land back to the Greater Fall River Land Conservancy, ensuring that it will forever remain untouched. As the years passed, the Board of Directors began to take an active role in lobbying for animal welfare. When the Massachusetts Legislature passed a Pound Seizure Law making it imperative for all humane societies in the state to turn over strays for animal research, the Board of Directors went into action, believing that this bill did not comply with either the League’s charter or the wishes of its donors. In order to protest this Law, the League temporarily gave up its City Dog Officer role and began to work to get the League exempted from this law. This was eventually accomplished. The League also protested the staging of bull fighting in Newark, NJ and was delighted when they learned that the world-wide protest was effective and the Mayor of Newark withdrew the permit. In more recent times, the board has worked with public health officials, advocating mandatory rabies vaccinations for all animals. The board has also worked to enact legislation requiring all animals which are adopted from shelters or pounds to be spayed or neutered. By the late 1980’s, the contract to enforce Fall River’s dog laws was not covering the cost of performing the service and, in 1990, the contract was terminated. Now, for the first time in its history, the League did not seek out and pick up stray animals, operating entirely as a humane society since October 1, 1990. In April 1994, the Campaign for Animals was launched to raise the projected $500,000 needed to build a new shelter facility. Contributions were sought from businesses and charitable foundations as well as individuals in the community. The Animal Rescue League of Fall River began doing business as the “Faxon Animal Rescue League of Greater Fall River” to honor our major contributor, Raymond Faxon. The new shelter was completed in September 1995. In 1998 another long-awaited dream was realized with the opening of our spay/neuter wellness clinic, named the Sylvan Animal Clinic, in honor Sue and Neil Van Sloun, who generously donated funds to establish it. 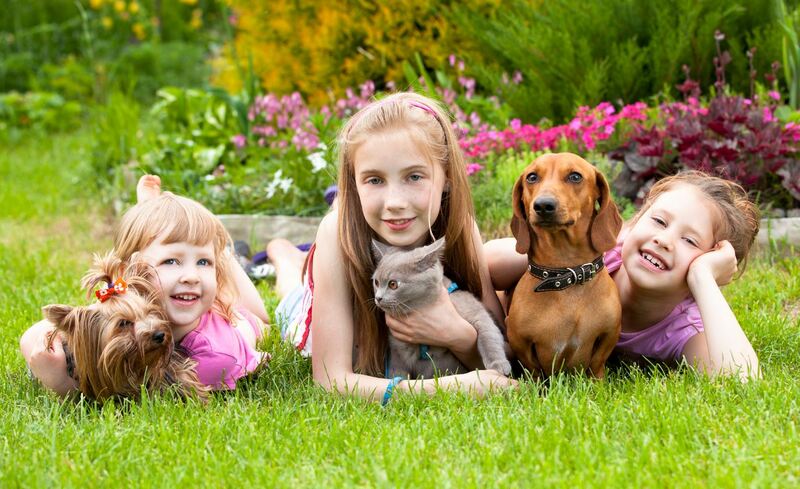 The clinic provides spay/neuter surgery for dogs, cats and rabbits, and our veterinarians are experienced with pediatric spay/neuter, so even kittens and puppies can be “fixed”. The clinic also provides pet owners with a variety of wellness services including basic examinations, vaccinations, screening tests for heartworm and other common diseases/parasites, dental care, and microchip identification. Presently, our Sylvan Animal Clinic is transitioning from a Wellness to a Full Service Animal Clinic. In addition to the shelter and clinic, the League has several programs to assist pet owners, including bereavement counseling, a volunteer program, foster care, special medical funds, community outreach, and a humane education program that is taught both on site as well as in the schools throughout southeastern Massachusetts. Through the years, the purpose of the League has evolved to assist unwanted companion animals. We are proud of our history but we are particularly proud of the great strides made in the last decade. Most importantly of all, we are proud of the way we treat our shelter guests. The Animal Rescue League is a 501 (c) (3) (nonprofit) organization. We are not supported by the City of Fall River, by the State of Massachusetts, or by any government agency. We rely on the support of our community to keep our mission alive and our programs available to the community. Without your support, we cannot carry out the humane, professional and compassionate work we accomplish every day. Thank you. The Animal Rescue League has evolved into a shelter that offers the community a safe, humane sanctuary for its needy companion animals. Our Sylvan Animal Clinic serves over 11,000 families a year, and is still growing. We have a proud history and we are pleased with the strides we have made in the last decade. When you visit our shelter you will find a clean, bright and cheerful facility with large state-of-the-art dog runs and cat housing. You will see a blanket and toy with each animal, and dedicated staff and volunteers caring for the animals. We anticipate the adoption of over 600 cats and dogs from our Shelter in the coming year, fulfilling our mission to protect and enhance the quality of life for our fellow animals through shelter and clinic programs, education and reform. We are proud of our history and excited about our future.